I first met Melissa d’Arabian in Iowa during the winter. Why would a flip-flop wearing Florida gal travel to Iowa in January? On the way home, Melissa and I sat across from each other on the plane. We were so engaged in animated conversation — it turns out we both talk not just with our hands, but apparently our entire arms, shoulders and head, too, because we kept bumping into the beverage cart! Her Ten Dollar Dinners Cookbook came in the mail a couple of weeks ago and I love her approach to budget meals. Each meal for a family costs $10 or less. 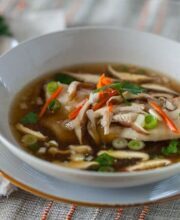 We made the Cod in Garlic-Ginger Broth with Shiitake Mushrooms with a few tweaks. 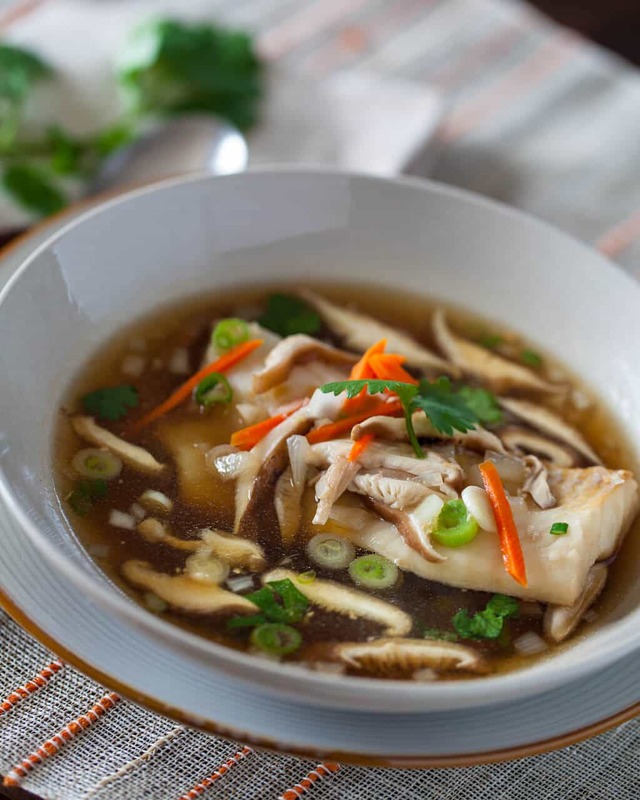 It’s light, healthy and the broth is warm and gingery. Heat a wok or large saute pan over medium-low heat. Immediately add in the onion, ginger and garlic. Stir constantly and cook slowly for 3 minutes, until the onion is softened and all the aromatics are fragrant. Take care not to burn them! Stir in the soy sauce, dashi and lime juice. Place the cod fillet in the wok and turn the heat to medium. Cover and let the fish cook slowly, making sure that the broth stays at a bare simmer. Cook for 8 minutes. 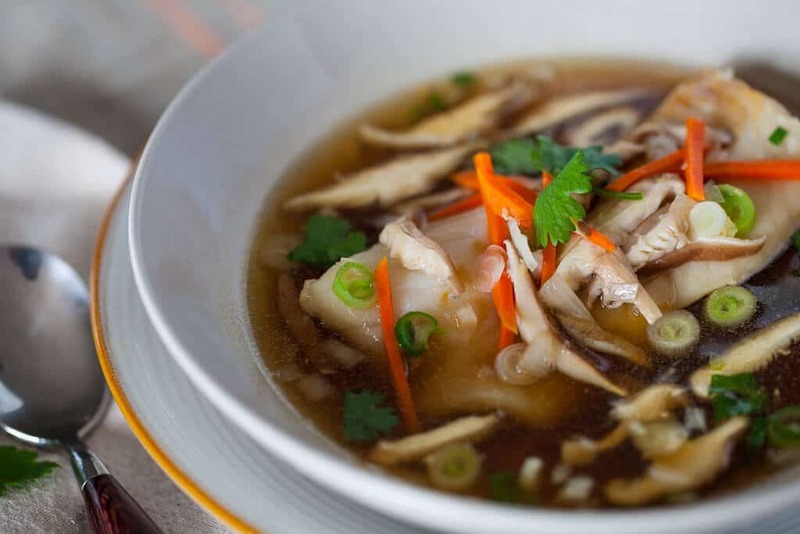 Uncover and stir in the shiitake mushrooms, carrots and green onions. Cover again and cook an additional 2 minutes or until cod flakes easily at thickest part. Top with cilantro and serve immediately.